Joe Garcia used this tamale cart during the 1930s to make his living. He sold tamales at the train depot and around town. 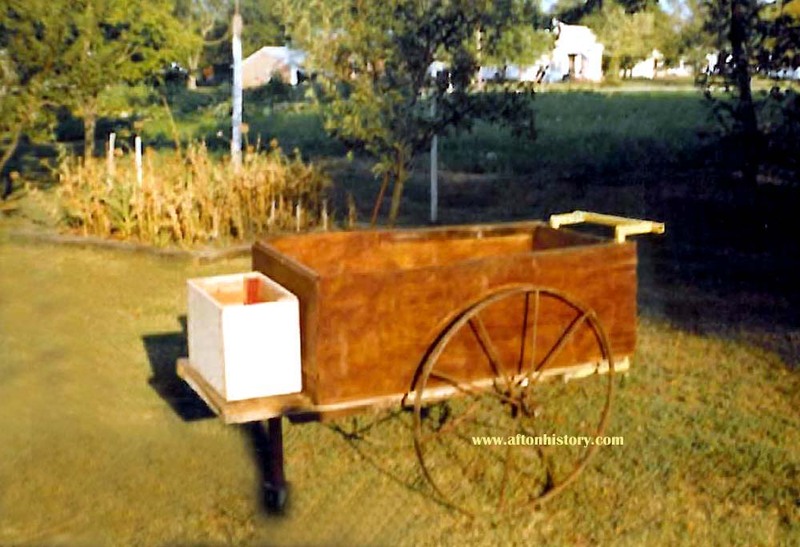 Therefore, Joe and his tamale cart, is a piece of Afton's history. The cart is now in the possession of Mr. Barnes, who vividly remembers it and the tamales.